You can pay as you go or pay once for the year and get a better than early bird ticket. Buys yours here! Exhibit at any of our events for just £35. Would you like to sponsor this event? £100 includes a 10 minutes speaking slot, exhibitors stand, 1 ticket and business literature on every place setting and online marketing. Don't see a subject you really want to learn about? Get in touch and we will do all we can to host a masterclass and / or Insiders webinar especially for you! Not an Insider yet? Learn more here. Find yourself free to attend at the last minute? It’s fine to just turn up on the day. Bring 2 guests to an event and attend that event for FREE! Would you like to learn more about why our network works for business, confidence, motivation and success? Read more about the structure of events and what to expect here. Please note when booking our events that by purchasing a ticket and walking through our doors you are aware that we do take photos and short videos to enable us to further promote you and raise your brand awareness. If you wish to not be included could you advise us prior to the event and we will ensure you are not filmed or photographed. Tasha Lowrie from Dream Box believes that everyone has a right to achieve their full potential and to experience life in all it's fullness, no matter what! With that attitude you can see why Tasha is perfect to host BWN events and is so passionate about her business! Dream box believe that the key to unlocking the hidden potential and ability of individuals with additional needs lies in empowering those closest to them; parents, carers, teachers and support workers. Dream Box offers a bespoke service for all our clients because everyone is unique. We will come alongside you to combine our years of experience and training in additional needs, with your knowledge and understanding of the individual. Together we'll find the best strategies and approaches for your personal situation. 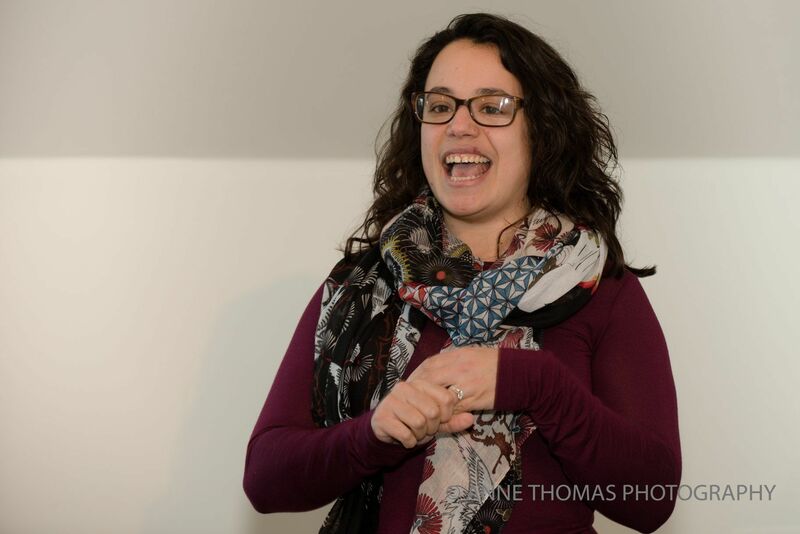 Tasha wants everyone to feel as welcomed as she did when she first started networking and attending the BWN, so look out for this face and to learn more about the London / South Essex events get in touch here. You can have your logo and contact information included on every page of this site with a link to your business for £475 through to the end of 2019! We were named as one of the top 15 resources in the UK for female entrepreneurs by 99 Designs in 2016. And our one of Small Business Saturday Top 100 businesses for 2017 (As featured in The Guardian) Would you like to get in front of our audiences?